The X Factor judge and Take That frontman will play the concert in aid of charity Nordoff Robbins, a music therapy organisation that helps improve the lives of vulnerable children and adults. "I feel really honoured to have been asked to perform for Nordoff Robbins," said the 42-year-old. "It is a charity that makes such a difference to people's lives, using music to give a voice to those who don't always have one." He added: "We had such an amazing time at the Royal Albert Hall the last time we were there so I know it's going to be a very special, intimate show." The show will take place on April 22, 2014, with tickets on sale on November 29 at 10am. 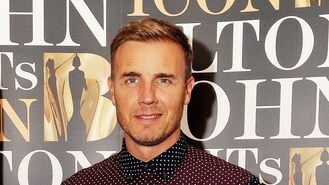 Nordoff Robbins CEO Dr Marcus Stephan said: "Gary Barlow is one the UK's most successful and well-respected singer-songwriters and we are thrilled and delighted he is performing for Nordoff Robbins. "This is a perfect opportunity to raise funds and awareness for Nordoff Robbins, an organisation which has music at its very core. As a musician, Gary Barlow understands only too well about the power of music and the positive difference music therapy can make to people's lives." The show will follow Gary's UK tour, which begins in Belfast on March 29, 2014, and closes in Sheffield on April 20. He will also play a live London gig on New Year's Eve for BBC One.